In Matthew 6:9-13, Jesus instructs us in how we should pray. Do you know how to pray? 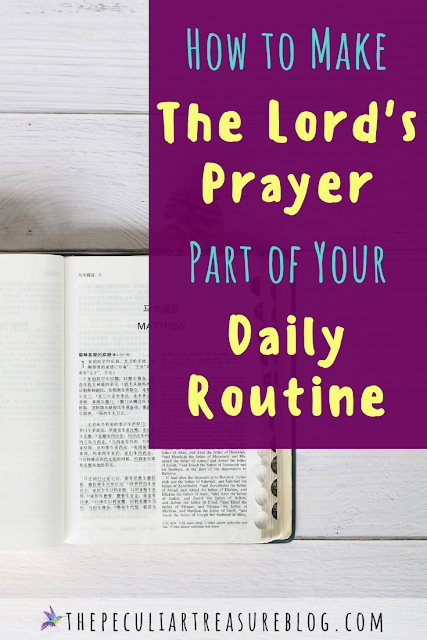 Have you ever tried incorporating The Lord's Prayer into your daily prayers and routine? I believe that studying the Lord's prayer will enrich our prayer lives and help us have better communication with God. 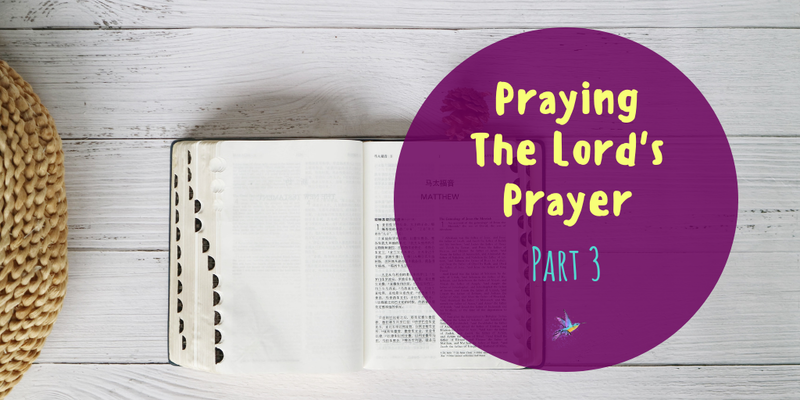 As our series on The Lord's Prayer comes to a close, let's recap a bit before finishing up. (Be sure to check out part 1 and part 2 if you haven't already). 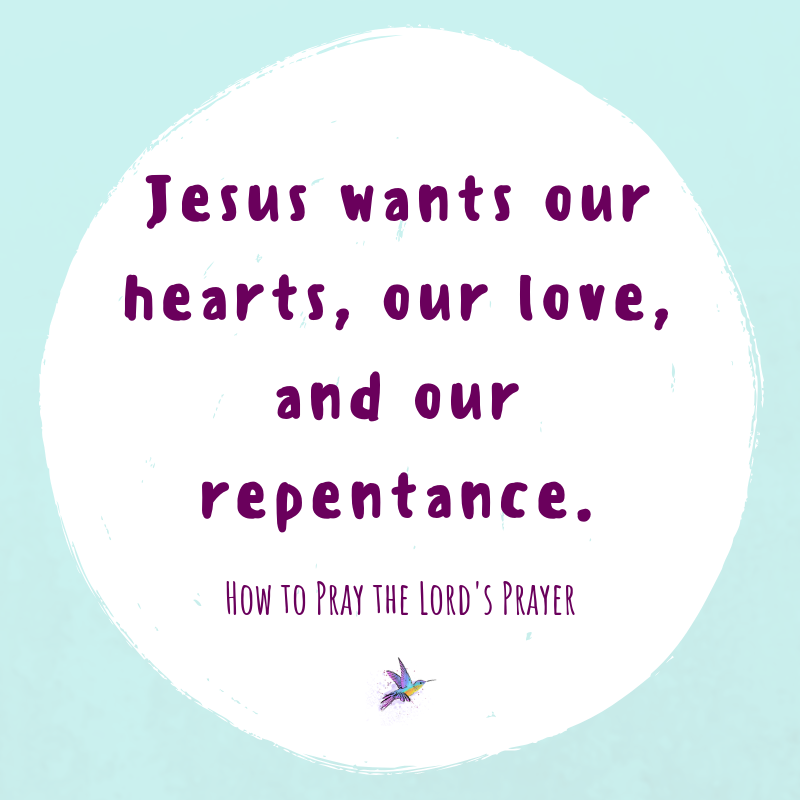 The Lord's Prayer is simply the prayer that Jesus prayed as an example to His followers. He said that this is how we should pray. Jesus contrasted this against the Pharisees, whose prayers tended to be showy, full of unnecessary wording that just sounded better and smarter, and they were not posturing their hearts towards God, but rather looking for the attention of those around them. Jesus warned against praying like the pharisees, and He encouraged His followers to find a quiet, secluded place to pray. He instructed His disciples not to be concerned about others taking notice, but to come to Him in simplicity and humility. 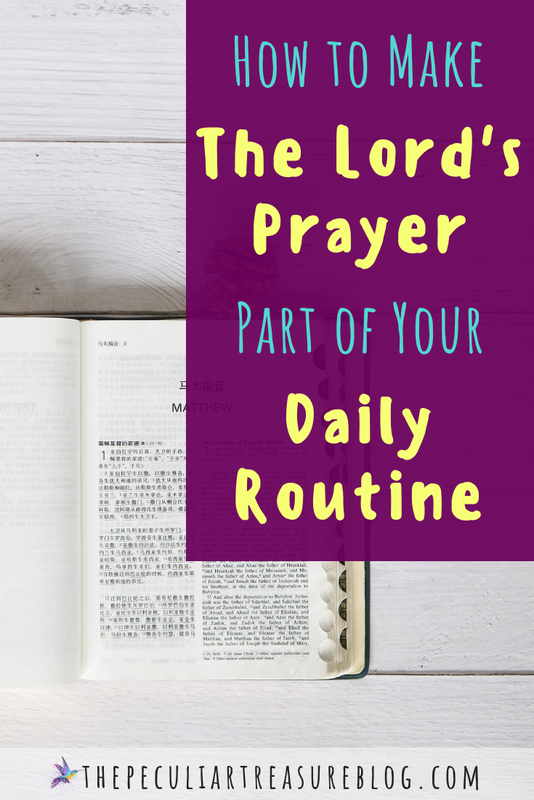 As we have gone through the Lord's prayer, we've seen a structure that goes a little something like this: Acknowledge God for who He is/praise Him, asking Him for His kingdom and His will, asking Him to provide for us, and asking Him to forgive us for our sins. There are three more pieces left to The Lord's Prayer, so let's dig into those today. When we ask God to "lead us not into temptation", we need to understand something very important: God does not tempt us. He is not the author of sin, nor does He tempt us towards sin. He allows us to be tempted, and He allows us to sin, but He is never the one causing the sin. So, when we ask God to not lead us into temptation, what we are actually asking is for Him to keep us from being tempted, and that if we are tempted, He will help us overcome. We are human and we are fallen. We are prone to sin and we are prone to let our hearts wander. And on this side of Heaven, we will sometimes fail. But we need to be asking God to keep us from temptation, and to help us stand firm when we are tempted to sin. Asking this of God is not a cure-all (meaning we won't be perfect), but it is certainly something God wants us to bring to Him, and He will help us. And friends, if you do fall, just call out to God, repent, ask Him for help, and avoid tempting situations the next time around. To one degree or another, all of us will have to deal with evil on a daily basis. We will be bombarded with sin, hurt, and even attacks from others. But Jesus shows us in His prayer that God cares about the evil we face, and He wants us to seek His help. God isn't always going to change our circumstances, but He will still guard us and help us through when we are being surrounded by evil. 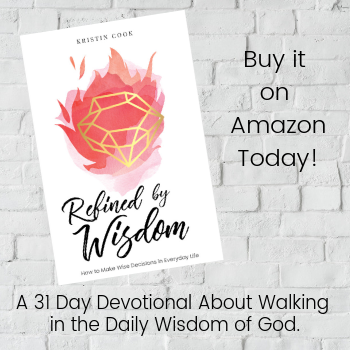 Praying "deliver us from evil" is a cry to God asking Him to keep us safe, help us persevere, and help us walk in the path of wisdom even when we are plagued with evil from every direction. This last section of the prayer is basically more praise of God, and an acknowledgement of His power, supremacy, and holiness. Jesus was praising the Father as the head of the Trinity, as well as acknowledging truth once more before ending the prayer. When we acknowledge that the kingdom, the power, and the glory belong to God, we are humbling ourselves to a place where we see God's ultimate authority. As we humble ourselves in this way, it also becomes more clear to us why God's will is better than our own wills. 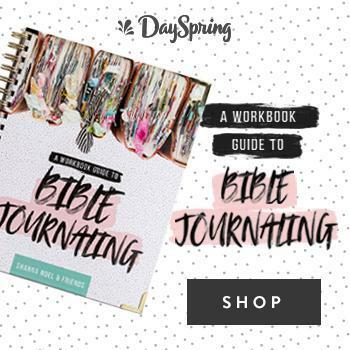 He knows best and His ways are perfect, and we can acknowledge that more fully when we start with acknowledging that God is the one who holds the kingdom, power, and glory forever. And that, sweet friends, is the last of our series on The Lord's Prayer. I would like to challenge you to learn to pray this prayer with your whole heart. Remember, this isn't the only way you are "allowed" to pray, but rather a guideline of how to pray. Jesus tells us to pray like this, so obviously its important, but that doesn't mean that we are locked in to only praying this way. 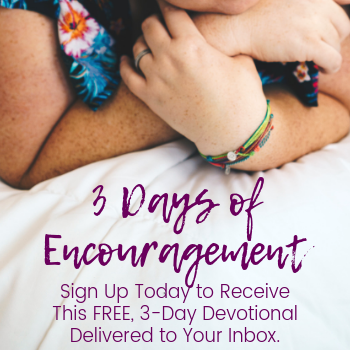 The important part is recognizing the key elements of this prayer: Praise of God, seeking God's will and God's kingdom, request for provision, repentance of sin, seeking help from evil and temptation, and more praise. Remember that even though it's not specifically in this prayer, God does tell us in scripture to consistently pray for the needs of others as well, so make sure to include that in your prayer time too. I like to think that this would be included in the "your will be done" and "give us today our daily bread" portions of the Lord's prayer. 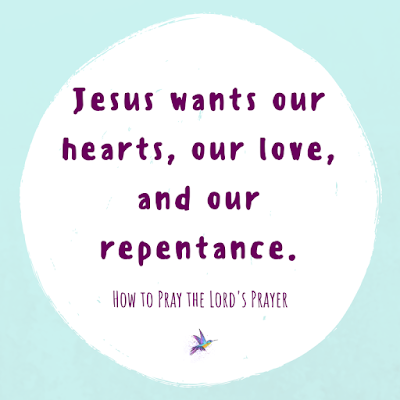 Jesus wants our hearts, our love, and our repentance, as displayed in His prayer. He isn't interested in our eloquent speech or the length of our prayer. So, go pray, and learn from what Jesus taught us about doing so.